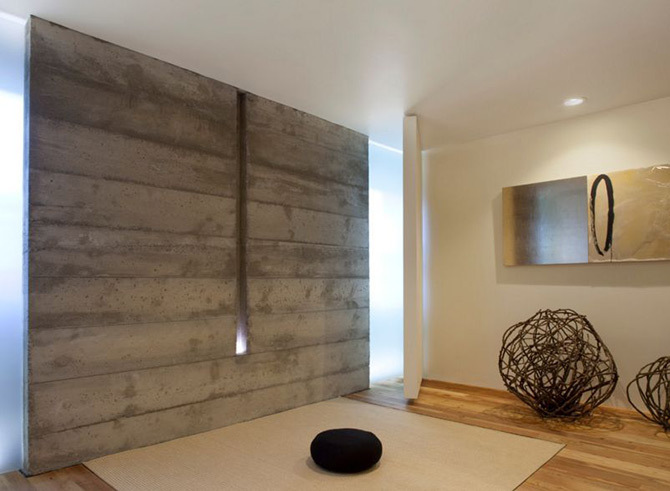 Does your home need a meditation room? This world is hectic, right? With ever increasing levels of stress and tension which lead to a variety of physical and mental health problems and general discomfort with life, you can see why more and more people are turning to meditation. And they are bringing it home and making it a regular practice. Having the perfect Zen environment that you can step into at any moment when your heart rate rises and your skin starts prickling could be a life changing addition. So we’ve compiled some ‘must haves’ to create your very own sanctuary, where you can shut out the external world and get in touch with the best version of yourself. Are you ready to set up your own home meditation room? Here’s how. First and foremost, you can’t let your mind relax without your body being able to let go completely. If you’re uncomfortable from sitting on a hard floor or your neck is stiff from sitting in the wrong kind of chair, you’ll be distracted from all the beautiful juiciness that a relaxed mind can offer. So start by incorporating your favourite chairs, soft furnishings and other comforts to truly increase the peace. The overcrowded, busy mind craves simplicity so a minimalist interior design helps to create a space of stillness. Pare back all the furniture in the room that most offers peace. The second you step inside, your brain will get the hint that it’s time to slow down and, taking a cue from the simplicity of the surroundings, throw out any mental clutter that is getting in the way. Inarguably, it’s important to set the mood in your special room. 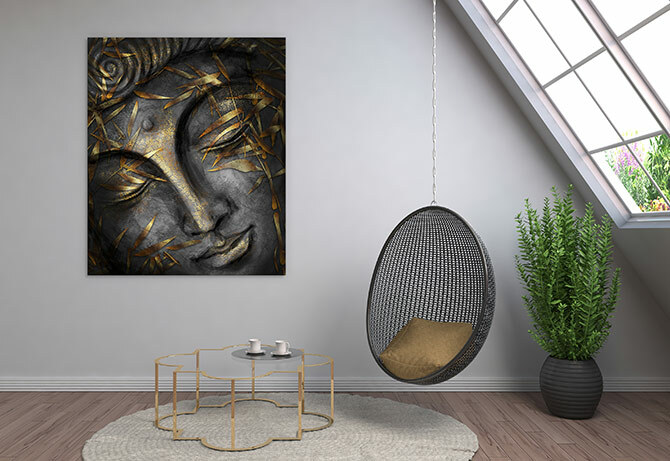 By incorporating artwork that features peaceful images, you can instantly get yourself into the Zen zone. 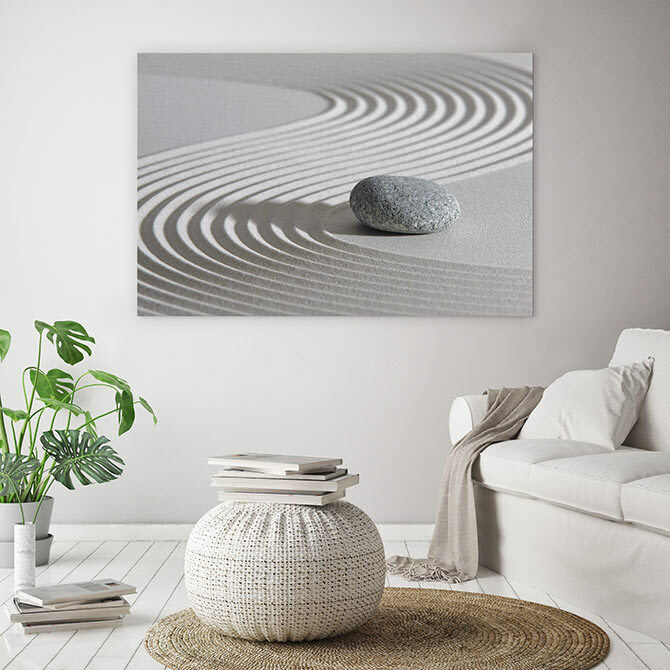 Explore our soothing collection of zen art for more blissful ideas. Not only do they help keep the air cleaner and help your breath flow but indoor plants look fantastic in any room. ‘Different plants have different qualities. We recommend common ivy for a leafy addition to your decor. Or try jasmine as its sweet scent is wonderful without being overwhelming,’ states Dalina from Interior Secrets. People are drawn to water and it undeniably helps shift our mood to ‘… “a mildly meditative state characterized by calm, peacefulness, unity, and a sense of general happiness and satisfaction with life in the moment” — that’s triggered when we’re in or near water,’ Huffington Post. 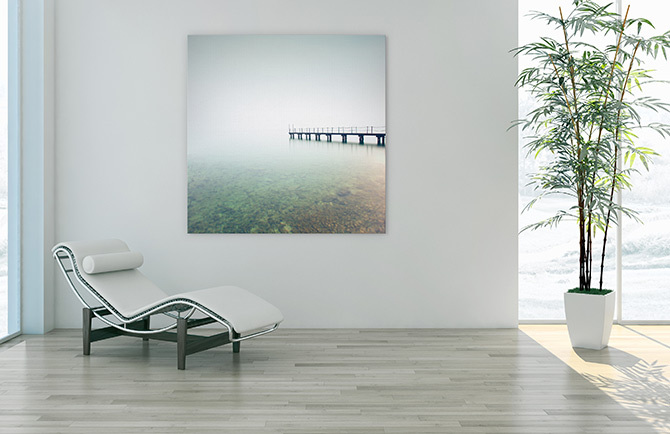 If you don’t live near water the next best thing is to incorporate soothing water art into your space of harmony. 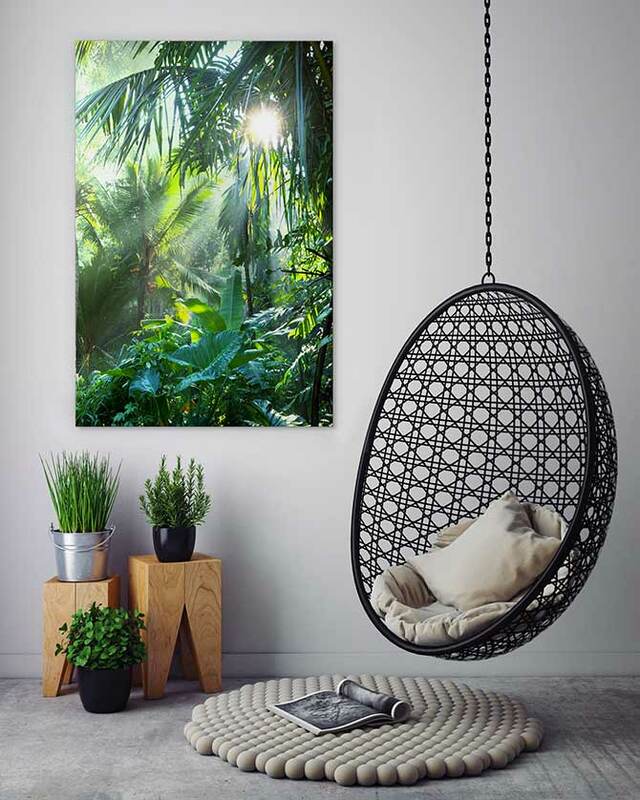 There is something about natural decor that can ground us and ease our stress. Incorporate natural elements such as bamboo, cane furniture, cotton and wood to fashion an unspoilt vibe. ‘For a more nature inspired space, the use of raw textures like reclaimed wood furniture and plants is perfect to help you connect and channel your energy with the earth,’ Dalina. Bruce MacDonald from leading flooring company, MacDonald Hardwoods, recommends you consider your flooring. 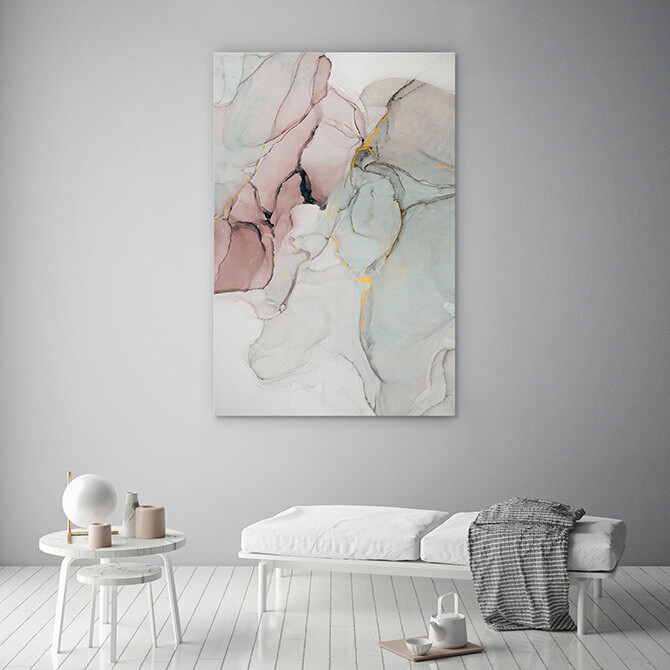 Who knew that abstract art could be so calming? ‘Before you start decorating, decide what energy you want your space to evoke as it will determine what colour palette you choose. Once you have decided, create a mood board to help you design a cohesive space as well as help you decide what pieces to purchase. 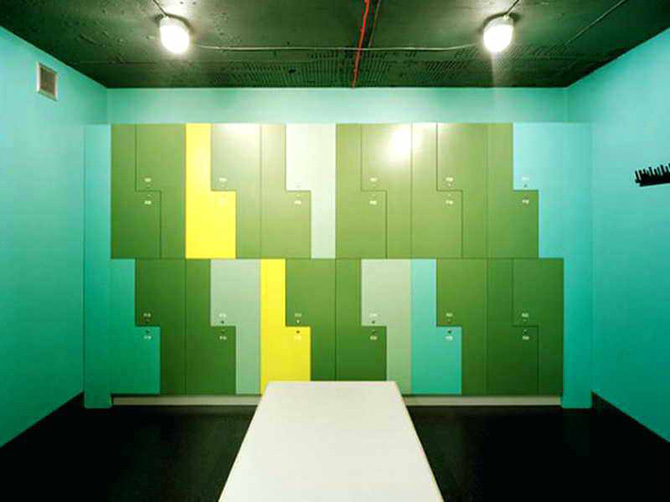 Opt for cooler colours and tones if you want to create a calming space. Warmer colours, like reds or oranges, are more active and might subtly evoke a different energy than you originally wanted. Try a minimalist monochromatic palette for an effortless colour story or an analogous palette for some variation,’ says Dalina. Get the radiance just right in your meditation room with super soft lighting with dimmer switches, lamps and candles. ‘Light not only affects how we wake up and fall asleep but also the way we feel, function and behave. As well as our wellbeing, it’s important to create the right ambience. With the Philips Hue ambiance candle E14, you can set preprogrammed light recipes that complement your daily schedule, moods and needs. Choose from four different light recipes: energise, read, concentrate and relax,’ says Daniela Marie. Additionally, different lighting will also give your art a new look with each different setting, so it never gets boring! We all need reminders. And those reminders should include healthy, positive and inspirational quotes. Seeing uplifting words regularly helps to shift our moods into a state of tranquillity where we feel we can face challenges head on, without sacrificing our peace. 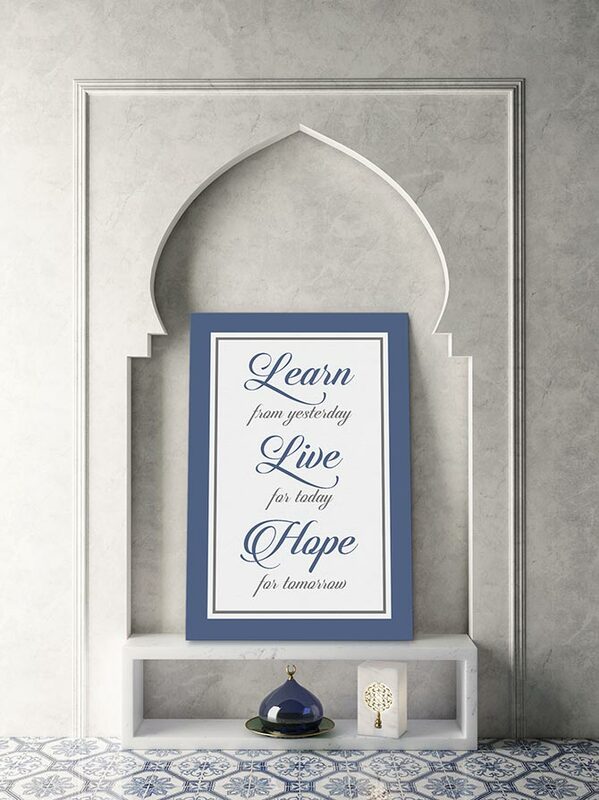 Don’t you deserve your own inspiring room? Forget traditional furniture as you know it. Your meditation room is your very own space to experiment with different types of furniture and make artful use of unique items. Experiment with benches and crates, low coffee tables, hanging chairs, ottomans and ladders as special ways of using items. 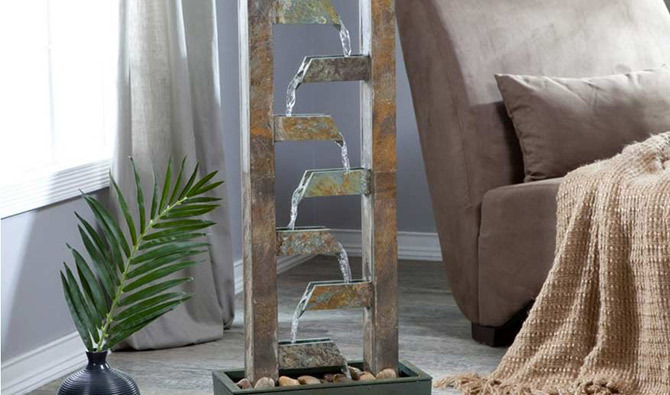 And what meditation room would be complete without a relaxing water feature? 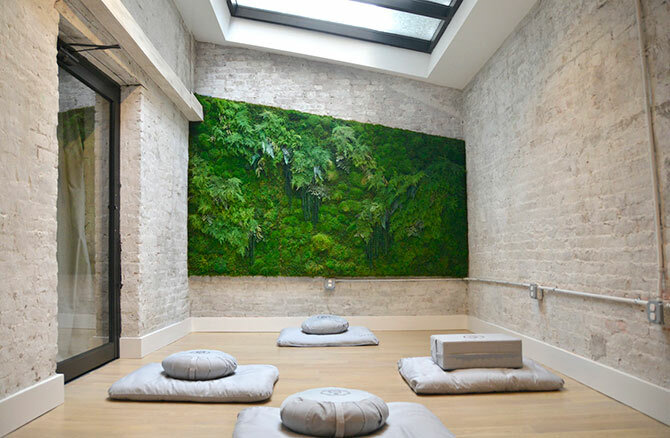 Ready to create the meditation room of your dreams? 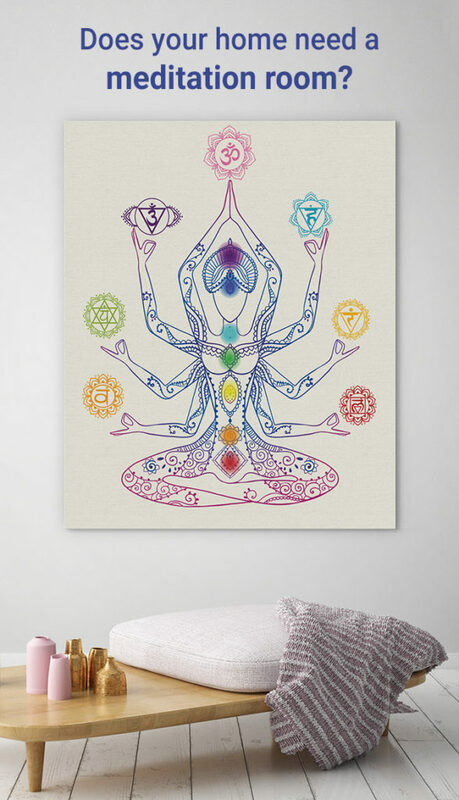 Be inspired by our collection of spiritual art and we’ll have you ‘Om-ing’ in no time! 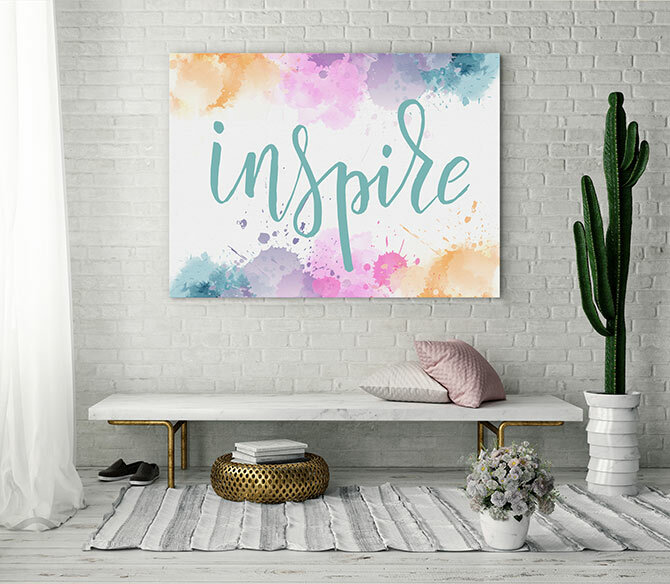 Vanessa Jones is one of Wall Art Prints' dedicated and art loving resident bloggers who will help you discover all things wonderful about home decor and enlighten the way to your perfect wall art. Get our deals direct to your inbox! 23 famous landmarks – how many have you seen? Floral patterns are now trendy – goodbye chintz! 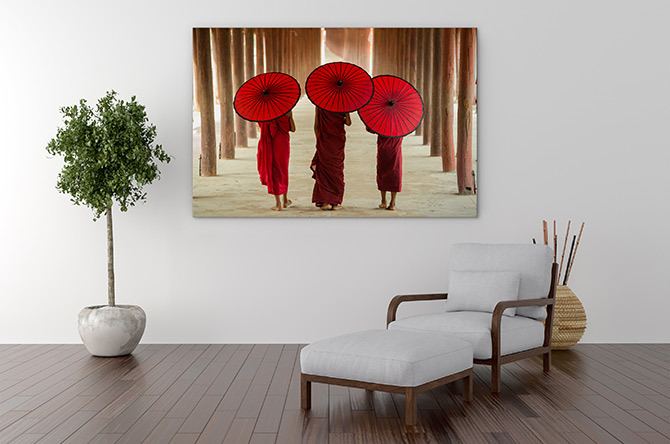 At Wall Art Prints we're passionate about beautiful and affordable art. 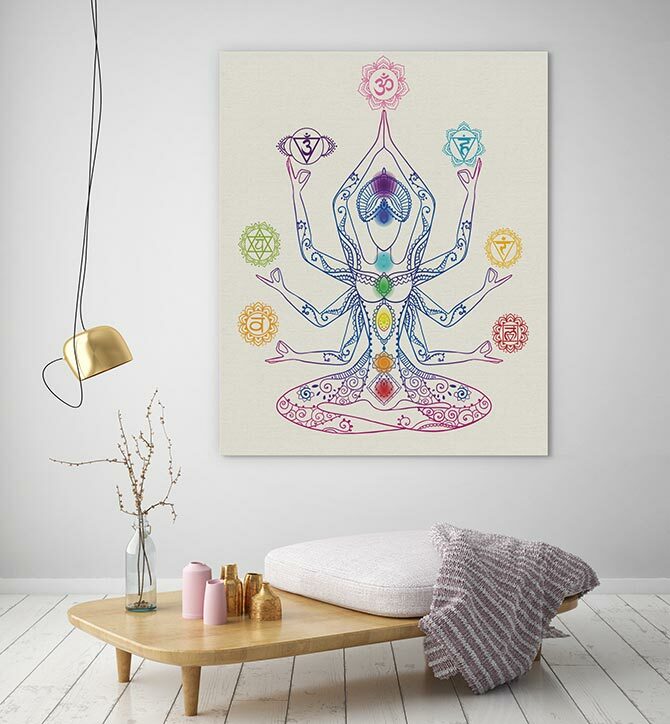 So we created an online art gallery with over 15,000 stunning prints in a huge variety of styles and sizes. And best of all? We offer 40% off RRP and free shipping every single day. COPYRIGHT © 2014. 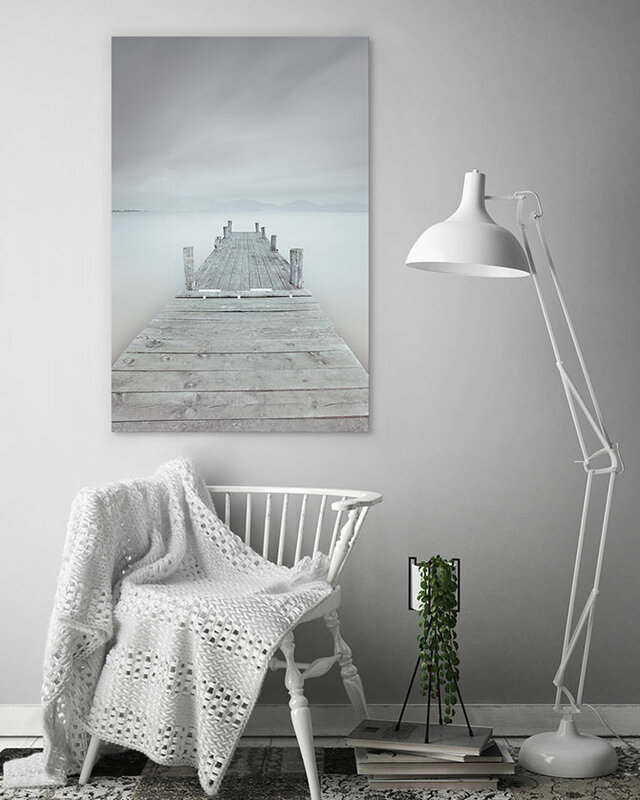 WALL ART PRINTS.